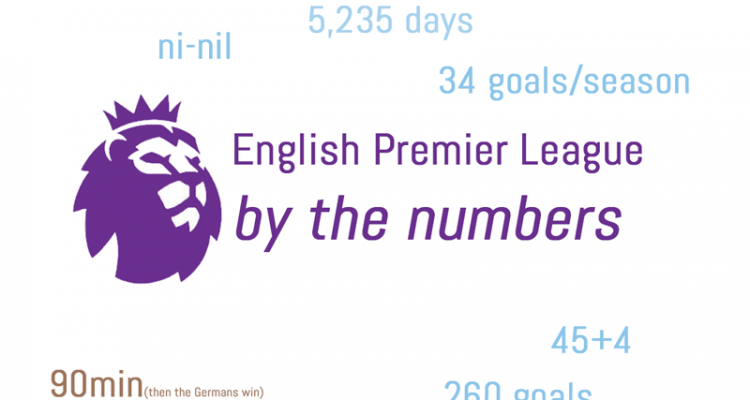 EPL by the Numbers 2018-19 #22. Click for more. Arsenal had a chance to earn all three points when Aubameyang stepped to the spot in the 90th minute Saturday, but his very weak penalty was easily saved by Lloris and Tottenham ended their losing skid at two matches. Manchester United then rebounded from a Southampton equalizer in the 74th minute to win with a fine Lukaku goal in the 88th, jumping Arsenal into fourth. That missed penalty by Auba might well be remembered as the moment that cost the Gunners a spot in the UCL next season, together with a missed offsides before Spurs’ equalizing penalty. City have slowed their goal output of late, but did hold court, with a Mahrez goal the decider, in a 1-0 victory at Bournemouth. Chelsea won a tight one 2-1 over Fulham, with all the goals coming in 11 first half minutes and now have a shot to return to the Top 4 once they play their game in hand. And then, in the weekend capper, Liverpool might well have blown the title as they failed to score yet again in their sloppiest match of the season. They are only one point behind City, but it is hard to see the reigning champs blow it from here, particularly if the Reds don’t right the ship immediately. 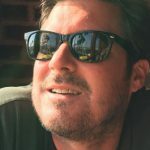 Further down the table, Brighton ended a terrible run with a 1-0 victory over the Raggedy Ann of the league, Huddersfield, Crystal Palace topped Burnley 3-1 and Wolves hit seventh place again with a 2-0 victory over a Cardiff side that now looks in real threat of joining Fulham and Huddersfield back in the Championship next season. In Spain, Real’s season fell apart in the space of four days, as they lost twice to Barcelona to fall 12 point behind in the table and were knocked out of the Copa del Rey in the semifinals. Barcelona is now through to the finals of the Copa del Rey, seven points up on Atlético Madrid in the league, still in with a quality shot at adding to their five Champions League titles and already with a Super Copa in their hands. Could the quadruple be on? Only time will tell, but Real Madrid look like they might play the season with only the Club World Cup to show for their efforts and major work to do this summer to get back on track in the wake of Ronaldo and Zidanes’ exits before this increasingly disastrous season began. Juve played Napoli Sunday in a match which would have probably been too little too late even if the pizza capital of the world did happen to win. They didn’t, as Juve won 2-1 with both sides seeing red, and their lead is now stretched to 16 points, as Juve are all but guaranteed to win their 35th Scudetto and eighth in a row (with 21 more times they came in second). In France, PSG continued to cruise 2-1 at Caen, and their lead now stands at 17 with a game still in hand, and thus seem poised to add their sixth title in the last seven seasons and eighth overall. And in Germany, Dortmund’s slide continued with a 2-1 loss at Augsburg while Munich won 5-1 at Mönchengladbach to cut the lead to zero. That’s right, after having a nine-point lead not so long ago, Dortmund is only ahead by two goals in goal difference and looking likely to hand the title back to Bayern Munich, who have won it seven times in a row and would add a 29th in total. So after some surprisingly tight races in England, Spain and Germany, it now looks like Juve, Barcelona, City, PSG and Bayern might well end the season on top, reaffirming the sense that we need a little more competition at the top of the major European Leagues. 0 – Arsenal are the only side in the league without a clean sheet on the road all season. Losing leads away from home might well cost them the automatic route to the Champions League next season, as it did on Saturday (thought see the big caveats repeated above and below). Not much question of that offsides, is there? 2 – Romelu Lukaku has had two braces in a row after a long stretch without a goal and his masterclass from just outside the box could well contribute to United having Champions League football next season. The Belgian is up to 12 league goals with one more in the FA Cup and three assists in all comps (though none in the league). 3 – Aaron Ramsey hasn’t really ever reached the heights of the first half of 2013-14 season ever again, and is headed to Juve at the end of the season, but he gave the Gooners at least one departing gift with a well-finished breakaway goal early Saturday that gave Arsenal the lead, though they had to share the spoils because of linesmen’s pretty consistent inability to make obvious offsides or foul calls. This won’t happen next season with VAR, but does little to salve the wounds of potentially missing out on the Top 4 because of that rather obvious missed call. 7 – After the Lakers loss to the lowly Phoenix Suns (of worst record in the league and vying to do even worse than last season) their chances of making the playoffs has dropped to a lowly 7 percent. That’s right – the greatest, or second greatest depending on your perspective, player in NBA history might well miss the playoffs for only the third time in his stellar career, with the other two coming in his first two seasons in the league. And that would guarantee what most already thought was a foregone conclusion when he moved to the Lakers – the eight straight Finals appearances will end. LeBron put up big numbers in the loss, but must be wondering if the move West was really worth it. Next season and who they actually sign this summer might be a better indicator. 8 of 9 – Harry Kane has scored in that many of his North London Derbies, including a suspect penalty in the 74th minute Saturday to equalize. He was offsides before the foul, so shouldn’t have been a penalty … as I might have mentioned previously. 10 – Real have suffered more shutouts this season than the past two combined. It was also the first time in almost a decade that Barça have shut them out two Clásicos in a row, after they knocked them out of the Copa del Rey last Wednesday. And Real are winless at home against Barça in the last five, with the last four losses. Their limping title tilt is now moribund and their only remaining hope a fourth straight UCL crown. Any doubters about the influence of Ronaldo and Zidane might want to prepare their apologies now. Not many would have chosen Rakitic as the winner Saturday, but his goal proved the difference (and maybe my picture of the season so far!). 11 – Points dropped by Liverpool in their last 9 league matches as they fell out of first for the first time in months when having played the same number of matches as City. The problem has clearly been a dearth of goals which, watching the game Sunday, appears to be down to nerves and lack of quality in passing and the final third. For the second time in six years, it appears Liverpool will gift the title to City after having it firmly in their grasp. 13 – Wins in 16 for Ole at United, with only two draws and a solitary loss. Everything seems to be working for him at the moment, including the recent renaissance for Lukaku after going nine appearances in a row in all comps without a solitary goal. Will he really be looked over as the permanent manager? Ole! Higuain was back on the scoresheet Sunday as Chelsea snuck by a game Fulham. 17 – Goals by Liverpool in their last 11, with only three matches over that stretch where they scored more than a goal – four against Crystal Palace, three against Bournemouth and five against Watford, all at Anfield. The turn of the calendar and the 2-1 loss to City have radically changed their fortunes and they need to wake up their slumbering offense and hope for a City slip-up in the last 9 matches of the season. Their major hope, assuming they right the ship, will be the five day stretch from April 20 when City host Tottenham and then head to Old Trafford. I might find myself rooting for the Spurs and then United over that five-day stretch, and then spend a nice couple of weeks in a local asylum to recuperate from that painful choice. Mo Salah has now scored just once in the past six matches, though Sane arguably blew the better chances against Everton Sunday. 32 – Because of the absurd missed offsides call and subsequent penalty, Tottenham’s streak of matches without a draw came to a close, as Arsenal missed a chance to shrink the deficit to Spurs to one point and, more importantly, lost two vital points in the race for the top four. The number of missed calls in this match includes the following, just in case you missed any above: 1. Harry Kane was offsides before the foul that led to the equalizing penalty, 2. Vertonghen was way inside the box when Aubameyang hit his penalty and then blocked the rebound off the line, meaning it should have been a relic, 3. Two Spurs arguably should have seen red cards in the match, but it was instead Torreira from the Gunners who saw it at the end. 74 percent – Liverpool had their lowest pass completion percentage of the season at Goodison Park Sunday and it showed, as they had fewer chances and settled for another nil-nil draw. Their defense has largely held up this season, but the offense has gone missing far too often in recent weeks. To Wit, they have had three 0-0 scores in their last four, with only the 5-0 dismantling of Watford over that stretch. At least City might be kicked out of the Champions League next season! No Comments on "EPL by the Numbers 2018-19: Match Week 29, Liverpool slip again – City go top"